Does your business have a social community? Are you looking for ways to stay connected? When you engage social fans on their terms, you increase visibility and reach. In this article I’ll share four ways to engage your fans and develop an active social community. 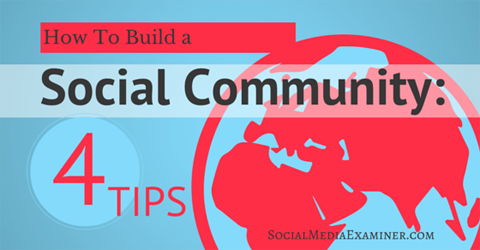 Find four tips for building social community. Managing your social community is art more than science. There’s no single algorithm that’ll lead you to success, but there are plenty of tactics to try. Here are some clever ideas to expand and engage your social fans. As a community manager, it’s essential to find advocates for your brand and recruit new members to your social community. All members (and even those who are not yet members) have the potential to be advocates—it just requires some attention. Some fans will jump out at you: They’re the ones who constantly share, like, comment, favorite and tweet. Reach out, reply and let them know they’re valued members of your social community. Ask them to invite friends to stop by your social pages. The direct approach is time-consuming, but effective. However, there are other more direct methods of research. This one involves finding fans on other networks and letting them know about your community. One tool to use to find out where your online audience is currently hanging out isMention. Mention allows you to track specific keywords in real time, anywhere on the web. This is helpful for both content and audience discovery. Use Mention to find where your audience hangs out so you can let them know about your social pages. There’s a basic free version, as well as paid plans for Mention, which let you set alerts to find where your potential all-stars hang out. Set your first Mention alert for the main idea or keyword your brand represents; for example, a product category (like smartphones), services (social media consulting) or type of business (a store, restaurant, etc.). Set additional alerts for secondary categories. If you set your first alert for “community management” for example, then set others for related topics, such as social media, marketing and engagement. Monitor who talks about your keywords and keep an eye out for their other interests. Then engage with them. Tweet to them, message and reply. The action depends on the network. Develop a rapport and invite them to your social communities for further conversation. Mentions lets you find out who is talking about you, and where. It’s important to make your unique audience feel like all-stars by communicating with them on an individual level to build your social community together. Why should social networks get all the traffic and activity? To get a conversation going with your fans without leaving your website, add a platform like Spot.IM. 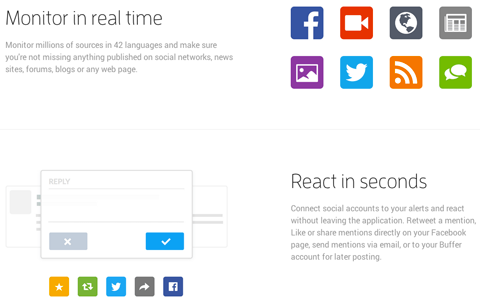 Spot.IM turns your web page into its own social network. It’s free and easy to set up. In a matter of minutes, get your community chatting on your page about things related to your business. Your audience has one thing in common: you. Unite them over their shared interest. It increases activity on your site and builds momentum for your business. Red Bull’s Spot.IM community gives members a forum to discuss extreme sports and their love of Red Bull. Red Bull and extreme sports lovers connect on the Spot.IM community on the Red Bull website. Fans love to talk about the things they love. And the passion starts with the community manager. Engage in conversations with fans that are related (or unrelated) to the brand. Your enthusiasm will keep the conversation going and fans coming back to your website. 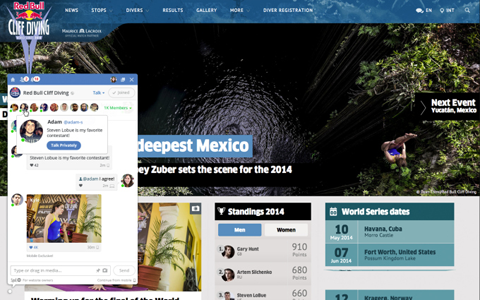 Showcase fans who share the most content or stir up exciting conversations on your page. Provide incentives to members of your community who truly go above and beyond in terms of engagement. Figure out what to do on your own or use an app like Booshaka, which helps analyze your data to find top contributors. The Booshaka app helps identify and incentivize your top community members. Booshaka, which gives a free trial and has lite and premium plans, tells you who your most active and engaged community members are. The people in this top 10% provide 90% of the engagement on a page. The app then incorporates ways for you to incentivize these members so they’ll share, like and comment even more. Facebook loves engagement. The more feedback signals you get (likes, shares, comments, etc. ), the more likely your post will be shown to a higher percentage of fans. To show your fans how dedicated you are to them, respond quickly to their posts and questions, feature their user-generated content and perhaps create contests just for your top users. It’s that personal touch that builds relationships and helps fans feel connected to a community. Your social community members love to feel like they’re part of the bigger picture. Give them opportunities to share their opinions. Take Oreo, for example. In 2012 they had a huge campaign for the cookie’s 100th birthday. The Daily Twist campaign featured a different Oreo cookie every day that was repurposed or redesigned to be in alignment with that day’s news. For example, on August 8, to commemorate a lost da Vinci that was found, the Oreo was a blank (filling) canvas on an easel. Then there was the Elvis Oreo on August 14, the Talk Like a Pirate Day Oreo on September 19 and more. Daily Twists were shared on all social platforms, and members of the Oreo online community could vote for their favorite Daily Twist Oreo. The results were through the roof. Listen to what the members of your community have to say and highlight their input. They hold a lot of power. Be authentic throughout all of your community management efforts. When you genuinely care about the members of your community and your brand, it shows. Encourage your fans to engage, share and like your content. Empower yourself tocommunicate more with your community. Ask questions and start conversations to get to know your audience better. It will help your business in the process. With the right community management, you’ll attract new fans and advocates. People will flock to hang out on your social community.